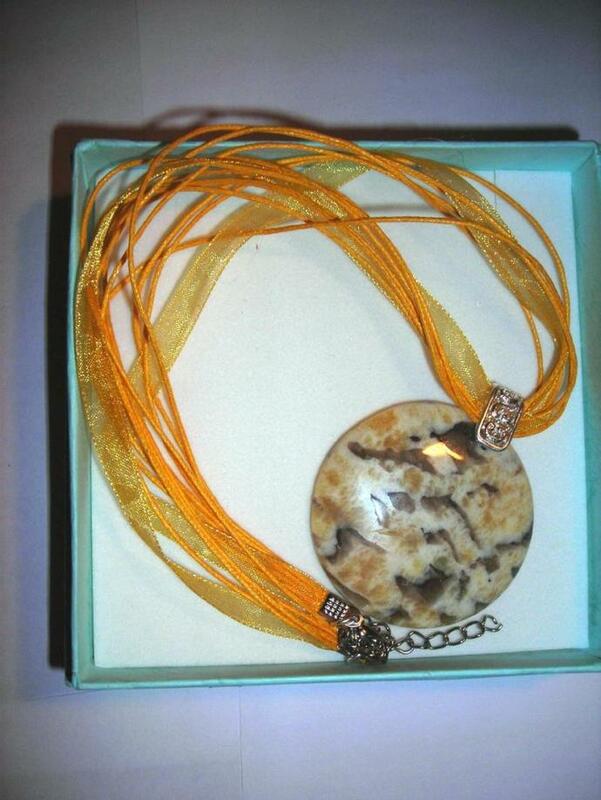 Picasso jasper round pendant. 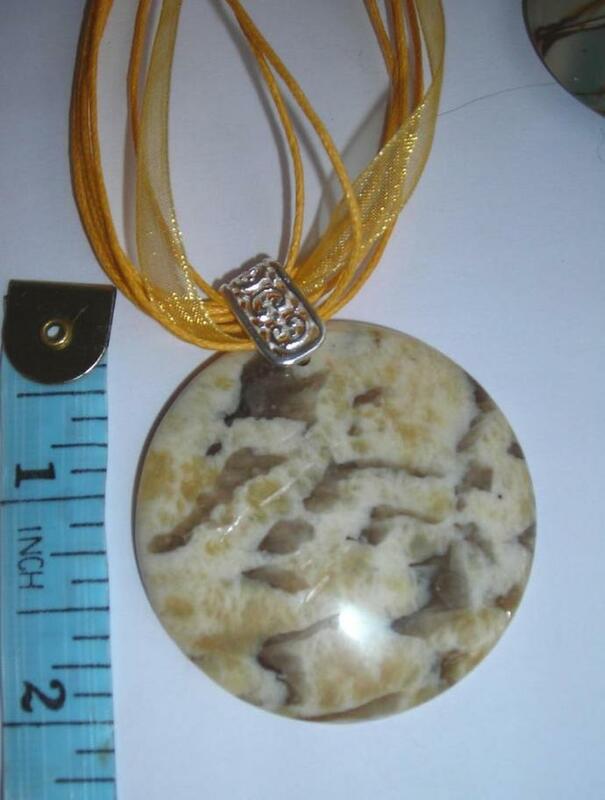 Marble jasper stone. Yellow and brown banding. 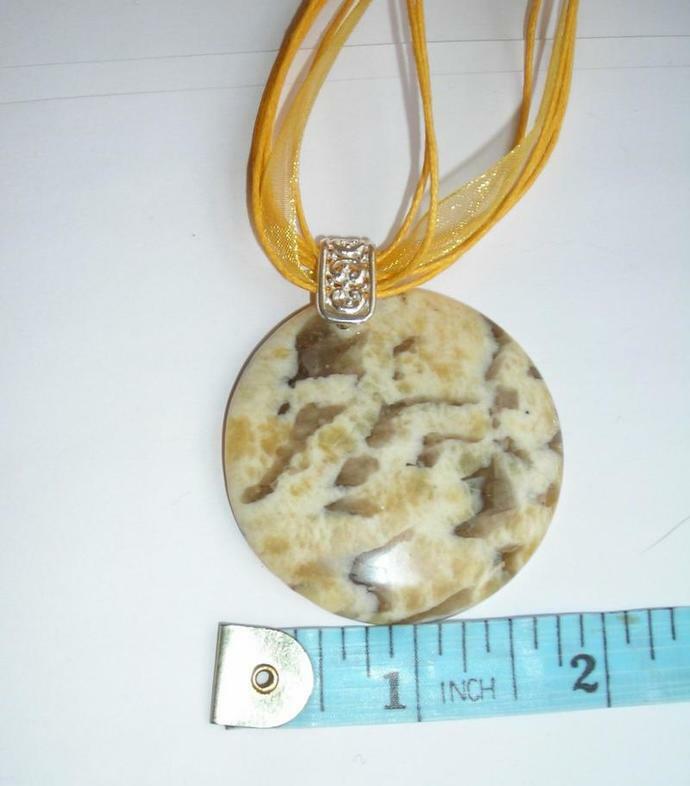 Showing cream, beige greenish brown marbling pattern, a vibrant and fun pattern. Lovely and sunny in color, playful and fun. Will work nicely with earth tones or whites. Measurement: 16 inch organza ribbon with 6 strand yellow cord. Extender chain is complimentary. Sterling silver nickle free bail with ornate but simply pattern. I also have suede cords available in 12 different colors that are cloud soft. Other colors organza cord available at request, please convo me. I will swap out for a sterling silver chain. 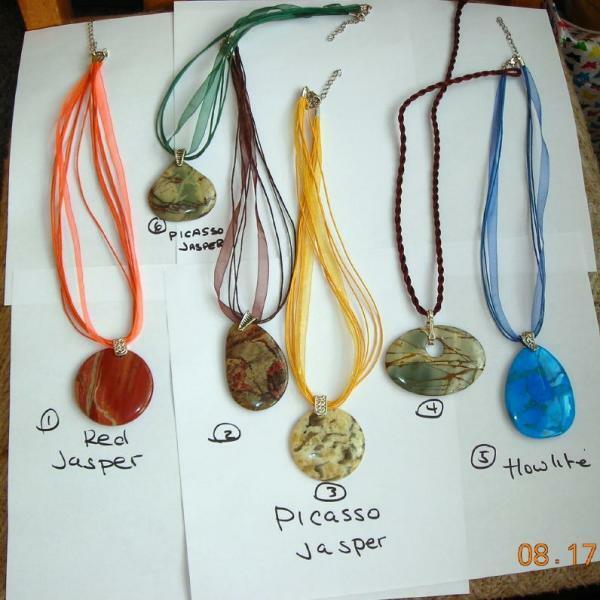 See all my shops listing for other stone pendants.